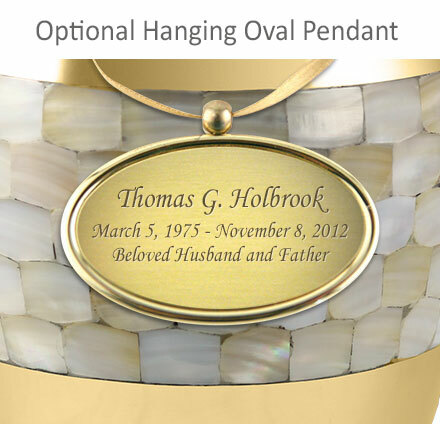 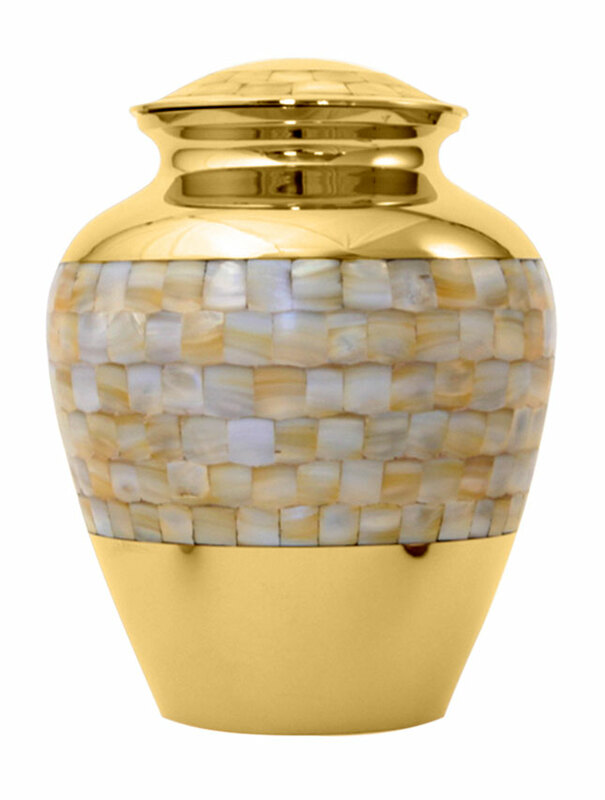 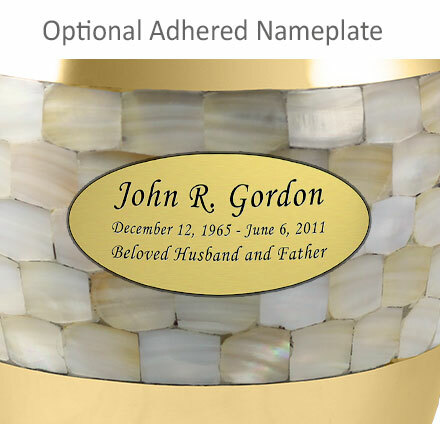 Our Mother of Pearl Elite Medium Cremation Urn is handcrafted with high gloss brass and inlaid mother of pearl accents creating a beautiful memorial for your loved one. 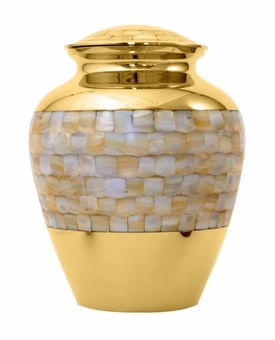 Pet weight (est. 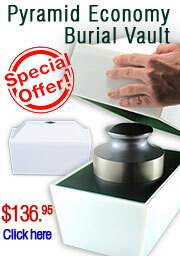 - lbs): Up to 120 lbs.